Moshe headlined a winning weekend for Eliza Park International stallions when his first-stakes winner arrived in Adelaide. In fact it was the first win for the first crop sire and it was also the first stakes win by a first crop sire this season Australia-wide. Moshki took out the Listed Cinderella Stakes at Morphettville by near on five lengths on Saturday. All there have now been three stakes-performers for Black Caviar’s full brother from only a handful of runners. Magnus gelding Malaguerra smashed his opposition in the Listed Bob Hoysted (1000m) at Flemington. Much has been made of the form surrounding this promising galloper last spring and he well and truly franked it on Australian Guineas day. The Lee Freedman trained galloper is in for a massive prep with no doubt expectations of a Group 1 win in the future. Malaguerra is the 11th stakes winner for Magnus and he came close to another when the Peter Moody-bred The Alfonso was beaten a neck in the G3 Hong Kong Macau Trophy (1400m) at Sha Tin on Sunday. Domesday filly Italy notched her sire’s second stakes winner on the weekend with a determined victory in the LR Canberra Guineas (1400m) on Sunday. The Darley Victoria stallion had sired Heart Starter to a Listed victory in the Lex Piper Stakes (1600m) at Ascot on Saturday. 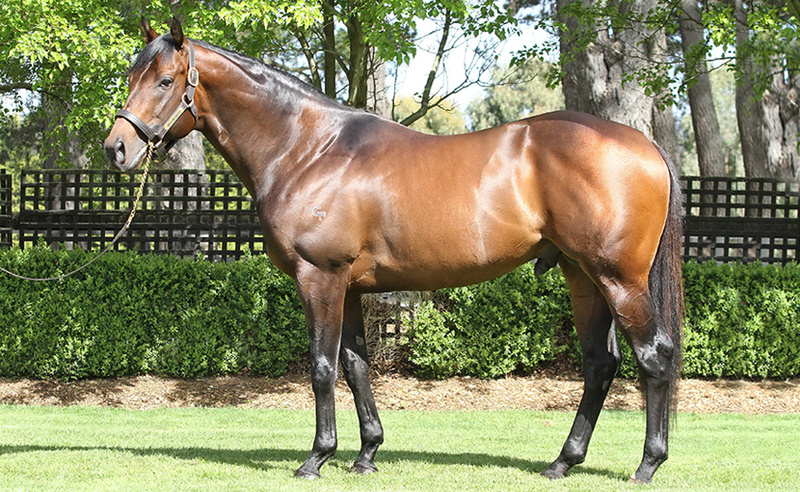 All up, progeny of the Victorian based sire scored six wins in just four days launching the sire well and truly into the top 50 of the Australian Sires Premiership. Italy (3f Domesday – Retail Therapy by Flying Spur) was Group 2-placed in the Magic Night Stakes this time last year and she became the 11th stakes winner for her sire when sweeing down the outside to claim the Canberra Guineas by a nose over Just For Tilda. “She went through a purple patch as a two year-old but then lost confidence. But she’s reinvigorated now and showed a lot of tenacity and fight to win,” Godolphin assistant trainer Darren Beadman said. Italy was bred at Darley’s Northwood property near Seymour. Heart Starter (3g Domesday – Flaming Heart by Salieri) made the progression to stakes company with ease in the Lex Piper Stakes. He was coming off a Bunbury maiden win and assumed control at Ascot before kicking clear in the straight. He’s a homebred for Bob Peters and is a half-brother to Saturday’s Flemington stakes winner Real Love (by Victorian sire Desert King). “I didn’t expect him to lead but he settled nicely,” Peter said. That future may be the Western Australian Derby where tab.com.au has now made him the outright favourite in front of 2015 VRC Derby placegetter Kia Ora Koutou. Desert King mare Real Love has been in work for over six months and she’s still prepared to tough out the hard yards for trainer Darren Weir. 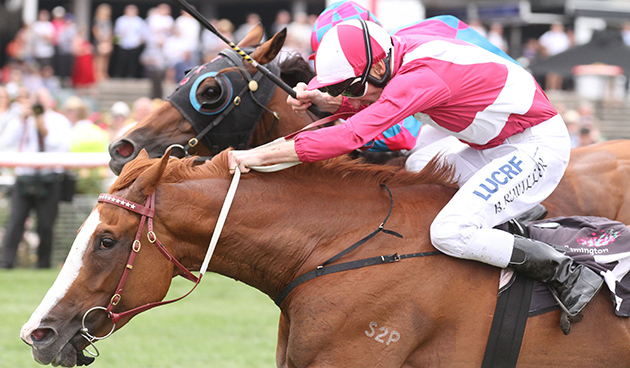 The 2015 Perth Cup winner broke through for her new stable in the LR Roy Higgins Quality (2600m) on Saturday and will head interstate again for the G2 Adelaide Cup on March 14. Real Love (5m Desert King – Flaming Heart by Salieri) defeated Dandy Gent by a neck after a head-to-head duel at Flemington. “I thought the other horse was going to run past her at the furlong. But she ran through the line really well and two miles won’t be a problem in Adelaide,” Weir said. Weir dominates pre-post betting for the Adelaide Cup. His imported stayer Signoff (owned by TBV member Limerick Lane) is the $2.40 favourite with tab.com.au after a runaway victory in the G3 Lord Reims Stakes on Saturday and Real Love is on the second line at $3. Perth owner-breeder Bob Peters races Real Love and the Roy Higgins result improved her record to 7 wins in 23 starts for prizemoney of $932,210. Peters had sent Caulfield Group 3 winner Flaming Heart to Euroa-based Lauriston Park sire Desert King (Ire) hoping to breed a high-class galloper and she showed black-type potential from the outset. 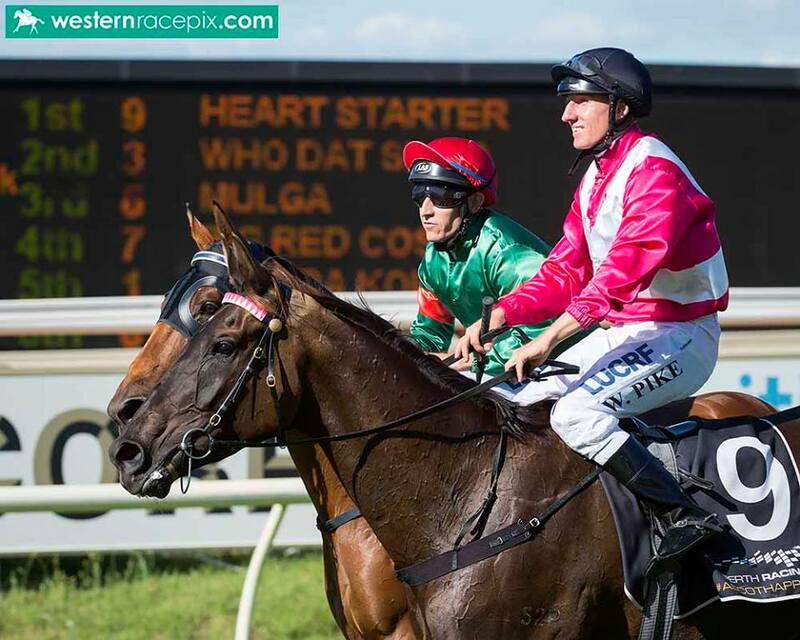 Real Love won a Bunbury maiden in February 2014 and within weeks added placings in the G3 WA Oaks and G2 WA Derby. Then, as a summer four year-old, she stamped her authority on the local staying ranks with a feature hat-trick in the G3 Queen’s Cup, LR WA St Leger and G2 Perth Cup. She started her current campaign with a Group 3 victory in the Asian Beau Stakes (1500m) at Ascot in October and transferred east after filling out a trifecta for Peters in this year’s Perth Cup behind Delicacy and Neverland. Real Love is the penultimate foal for Flaming Heart who was pensioned in February 2013. Her final foal Heart Starter (Domesday) won the LR Lex Piper Stakes (1600m) for Peters and his wife Sandra at Ascot on Saturday. 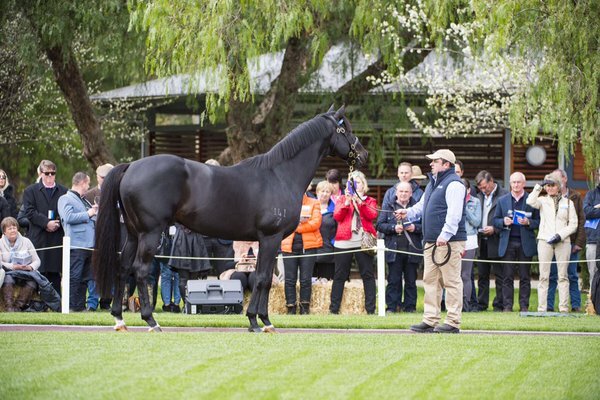 Desert King (Danehill) stood at Lauriston Park for a $6,600 (inc gst) service fee in 2015. Greta West Stud sold a Reset colt for $80,000 at the Melbourne Premier Sale and resident stallions God’s Own and Keep The Faith capped off a winning week with interstate winners Pillar Of Creation and Tidy Prophet. The Reset colt was purchased by Boomer Bloodstock acting on behalf of Group 1 WA trainer Lindsey Smith. Greta West also sold an Americain – Tottenham Girl colt for $42,500 at Oaklands and he’s another heading west after being purchased by Perth agent Noel Carter of Commercial Bloodstock. 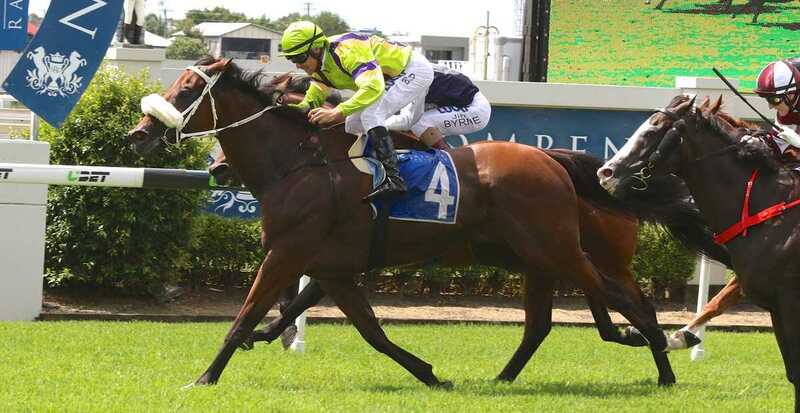 Contract Racing bred Pillar Of Creation (by God’s Own) broke a long run of outs at Doomben on February 20 and he doubled up in the Hotel LA Open Hcp (1350m) back at Doomben on Saturday. Trainer Tony Sears has rejuvenated the Contract Racing home bred and he’s right on course for the Listed Weetwood Hcp (1200m) at Toowoomba on April 16. Tidy Prophet (Keep The Faith) won the Port Lincoln Cup (1950m) on Friday and she’s paid up for the G2 Adelaide Cup next Monday. The Will Clarken trained mare started a short-priced favourite at Port Lincoln after an eye-catching fourth behind Go Dreaming in the LR Birthday Cup at Morphettville last month. Clarken revealed the mare prefers clear running when let down and Matthew Neilson rode her accordingly. “She’s doesn’t like losing momentum. If she’s held up, she can’t sprint a second time,” he said. Tidy Prophet travelled to Port Lincoln instead of going the traditional Adelaide Cup route through the G3 Lord Reims Stakes at Morphettville. “The weight scale of the Lord Reims was very favourable towards Signoff,” part-owner and breeder John Kelton said. Darley Victoria stallion Skilled maintained his perfect strike-rate when Cayman Dayze scored a first-up victory in the Classicbet Maiden Plate (906m) at Murray Bridge. The Michael Hickmott trained filly started an odds-on favourite on Wednesday following a Morphettville placing on debut in October. She camped outside front-runner Fairy Nymph and then sprinted to a three length lead in the straight. “That was worth driving home through the night (from the Melbourne Premier Sale) to watch her bolt in,” Hickmott said. Cayman Dayze was a bargain $8,000 buy for Hickmott at the 2015 Inglis Classic yearling sale. She is the first starter for Cheltenham winner Miss Pickford (Xaar) who is a half-sister to the dam of G3 Lord Reims Stakes winner My Ex Mate. It’s also the family of Darley’s Group 1 winning stallion Denman and WA sire Safeguard. Hickmott purchased two lots at the Melbourne Premier earlier this week in conjunction with Matthew Sandblom & G1X Racing. The first was an $80,000 High Chaparral – Merryvale colt (Lot 189) followed by a $90,000 Bernardini – Ekali filly (Lot 558). There have been just two starters to date from Skilled’s initial crop. Little Elsa was the first and she was successful on debut at Elwick during the Australia Day long weekend. Skilled (Commands) was a Group 1 winner of the Champagne Stakes (1600m) at Randwick and he stands at Darley’s Northwood Park property in Seymour. Gerry Ryan went back the source of his greatest win in racing when paying $120,000 for a yearling filly by Americain at the Inglis Melbourne Premier Sale on Tuesday. 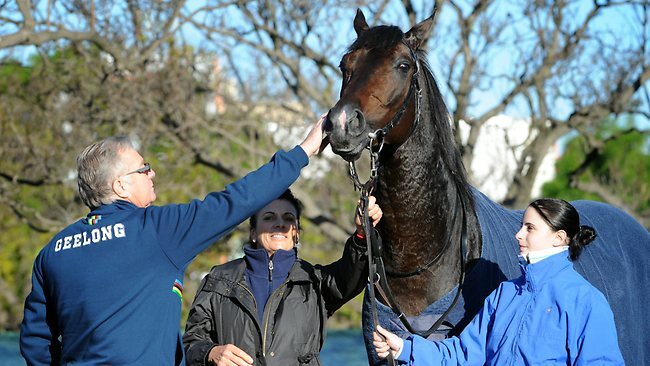 Americain (USA) scored a career-defining victory in the 2010 Melbourne Cup for Ryan and his wife Val along with part-owners Kevin and Colleen Bamford. He has a paddock full of Americain yearlings back home at Limerick Lane in Mangalore but couldn’t resist the half-sister to G1 Blue Diamond runner and impressive Moonee Valley winner Areti. Catalogued as Lot 441 by Hillside Thoroughbreds, the Americain – Ajamais filly will be trained by Robbie Griffiths at Cranbourne. “She’s a beautiful, elegant type and a lovely walker,” Griffiths said. “I think she’s the most appealing Americain here at Oaklands. Griffiths will make a decision shorty whether to push on with Areti or send her to the paddock to be readied for a spring campaign. The Hillside homebred faded from third on the home turn in the G1 Blue Diamond after a debut win at Moonee Valley on February 5. Hillside owners Peter and Areti Arvanitis have a Camelot – Ajamais filly on the ground and they sent the mare to Dissident last year.